The life histories and testimonies of nine Salvadoran women from different generations shape this intimate portrayal of contemporary El Salvador. 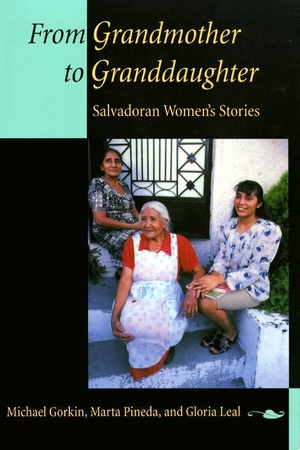 The authors interviewed a grandmother, mother, and granddaughter from three Salvadoran families: La Familia Nuñez, members of the upper class; La Familia Rivas, from El Salvador's growing middle class; and La Familia García, from the campo, the Salvadoran peasantry. The voices we hear convey a deep sense of the world of Salvadoran women and how life is lived in that Central American country today. Each woman tells her own life story, and interspersed with recollections of childhood, marriage, and childrearing are revealing accounts of El Salvador's turbulent political past and present. Reflected in the stories are the vast changes in educational and occupational opportunities for women and the shifts in male-female relationships. Class differences are still a fundamental part of Salvadoran life, but changes are occurring in this area as well. From Grandmother to Granddaughter is a vivid and authentic portrait of today's El Salvador that convincingly illustrates how individual lives can reflect the larger changes within a society. Michael Gorkin is a psychologist and former Fulbright scholar in El Salvador. He is the author of Days of Honey, Days of Onion: The Story of a Palestinian Family in Israel (California, 1993) and Three Mothers, Three Daughters: Palestinian Women's Stories (California, 1995). Marta Pineda and Gloria Leal are psychologists in El Salvador.